Download and install the tool. 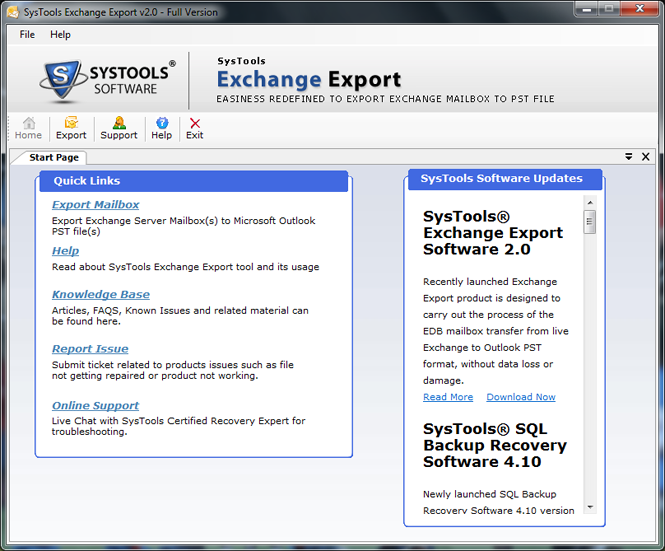 Launch software from start » All programs » Exchange EDB File Export Tool. Click export button from top navigation pane of the tool. 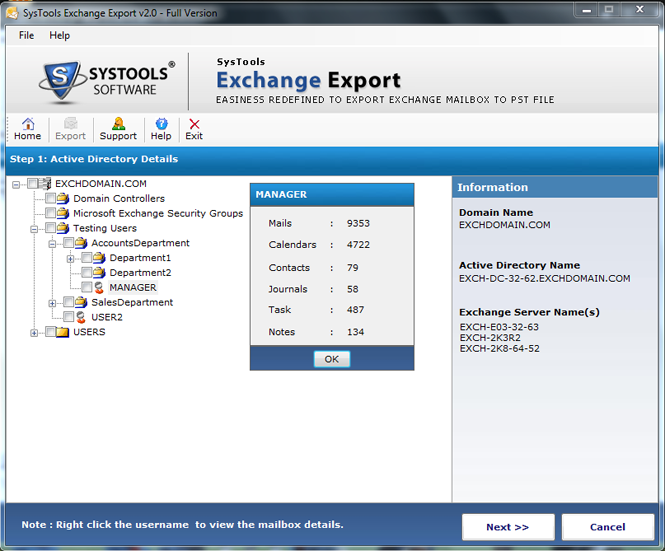 Software will show up complete active directory hierarchy, select the required database to be exported. Right click on any node to view the number of mails, contacts, calendar, notes, task and journal it contains. 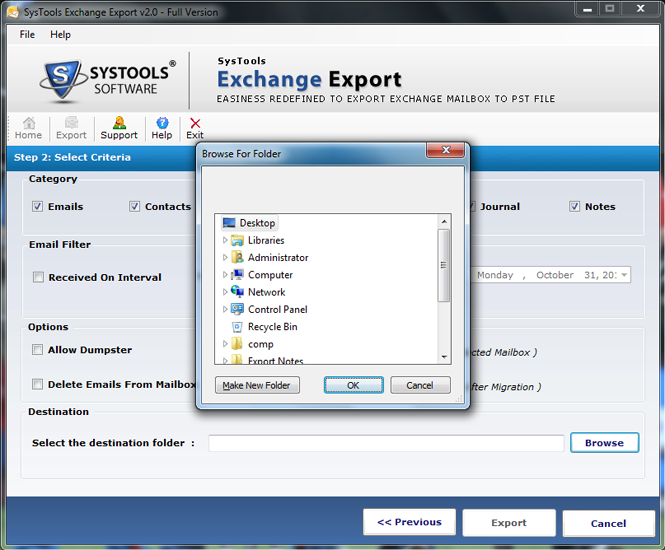 Click Next button to select the criteria for exporting file. Choose from 6 category available as Email, contacts, calendar, tasks, calendar, journals and notes. Thereafter specify Email filter according to date range and select from Allow Dumpster and Delete Emails from Mailbox advance options. 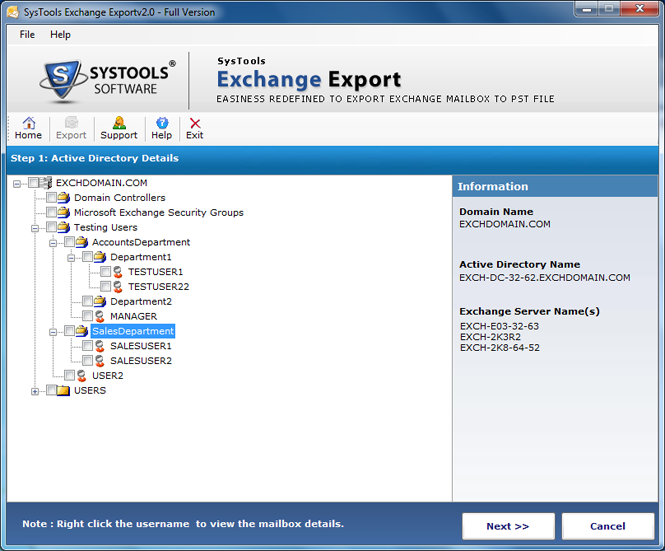 Click Browse button to specify the destination location to save exported mailbox items. 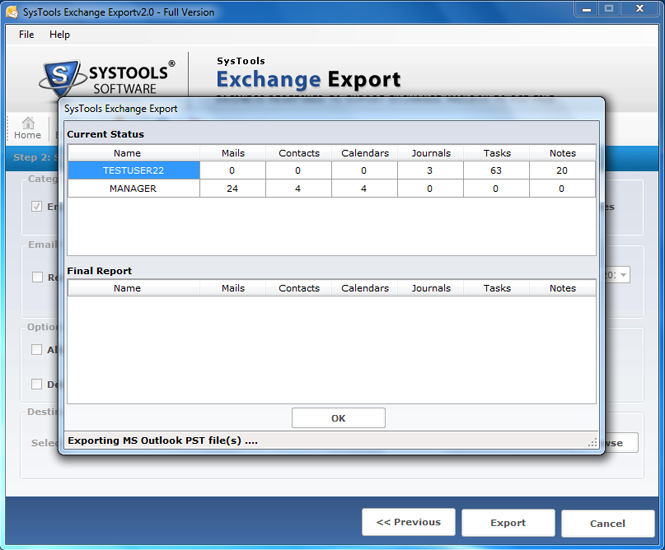 Now click Export button to begin the process. 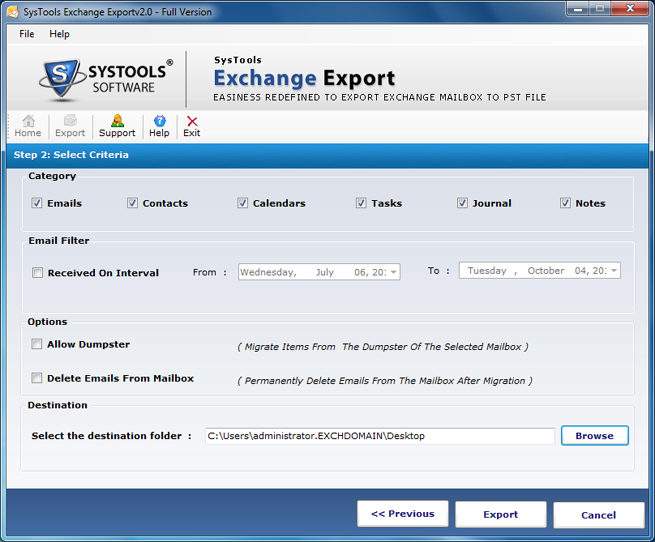 Software will start displaying current status of mailbox export process with information's like number of mails, tasks, contacts etc. 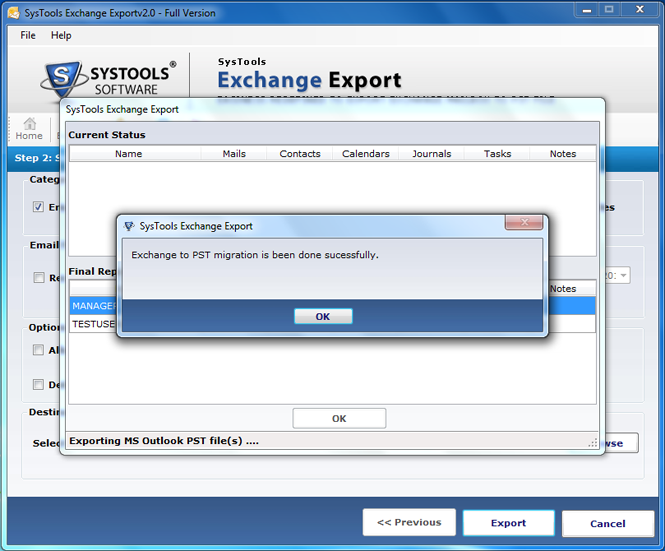 exported to PST.